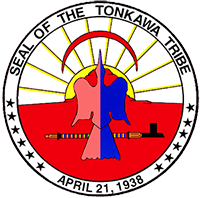 The Tonkawa Tribe Official Website! Application for Exemption for American Indians and Alaska Natives and other individuals who are eligible to receive services from an Indian Health Care Provider. Welcome to the Tonkawa Tribe official website. We are glad you are here! Please take a minute to familiarize yourself with our new site, as several things have changed. If we can be of any assistance please visit our "Contact Us" section for listings and numbers if you wish to speak to a person directly; otherwise, enjoy your stay, look around and visit our "Culture" sections above where you can immerse yourself in information and stories on our tribal history. Learn a piece of our culture with this month's Tonkawa Indian language word "Pen'ac" the English word for "spring". 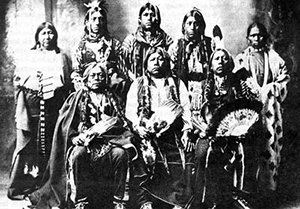 The Tonkawa, like most the Plains tribes, had a variety of dances that were performed regularly and ceremoniously. Among many dances belonging to the Tonkawa were the: Buffalo Dance, Deer Dance, Wild Hog Dance, Turkey Dance, Dance of the Short Steps, Notched Stick Dance, and a dance called "Singing All Around" which later became known as the "Back and Forth" dance.